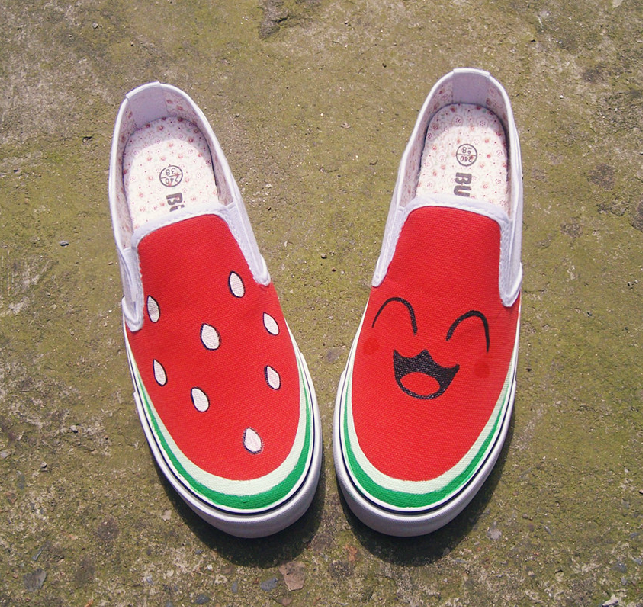  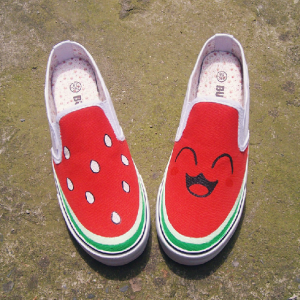 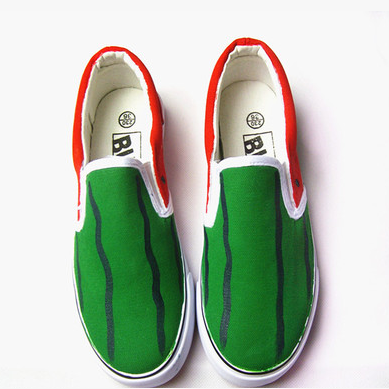 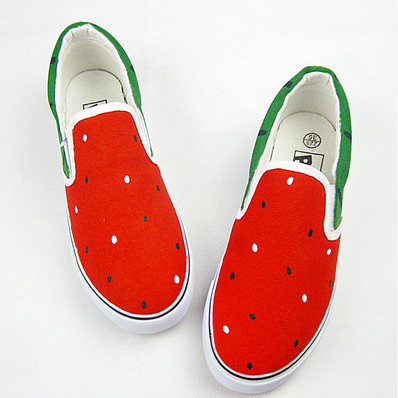 Round-Toe Watermelon Print Canvas F..
You are definitely one in a melon to own this adorable pair of sneakers. 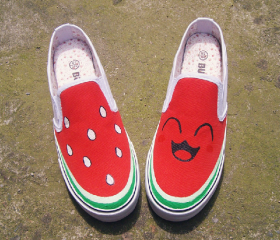 This cute watermelon print with a smiley face is sure to put a smile on your face as well as others when you show them off on the streets. 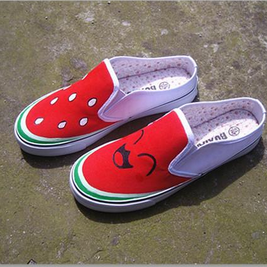 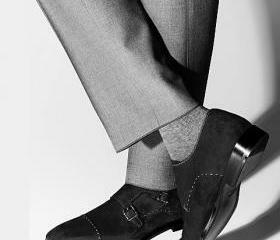 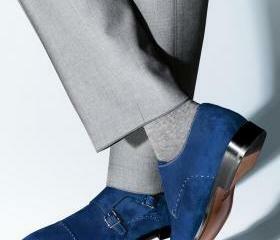 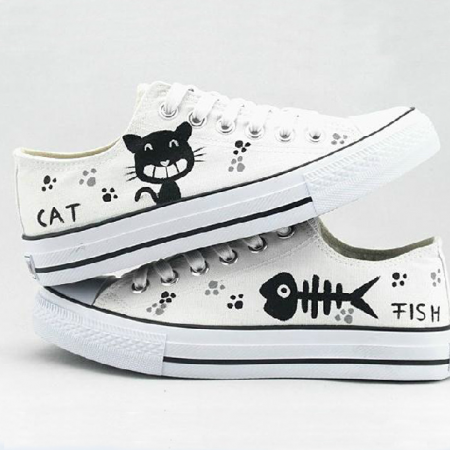 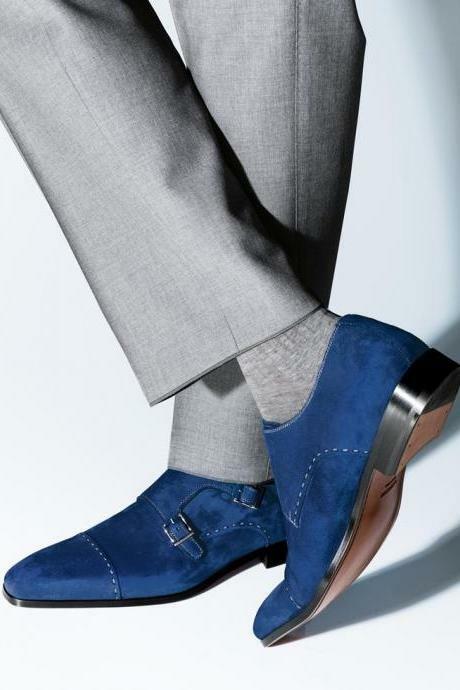 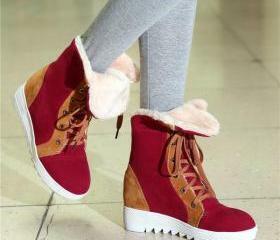 An eye-catching pair with round-toe and stretchable gores on the side that assures you with comfort and style. 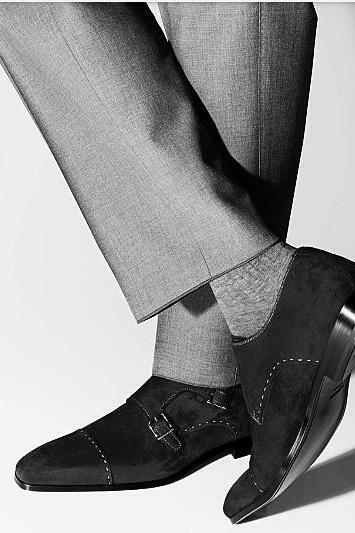 Built in a flat silhouette which brings you from classes to the weekends.